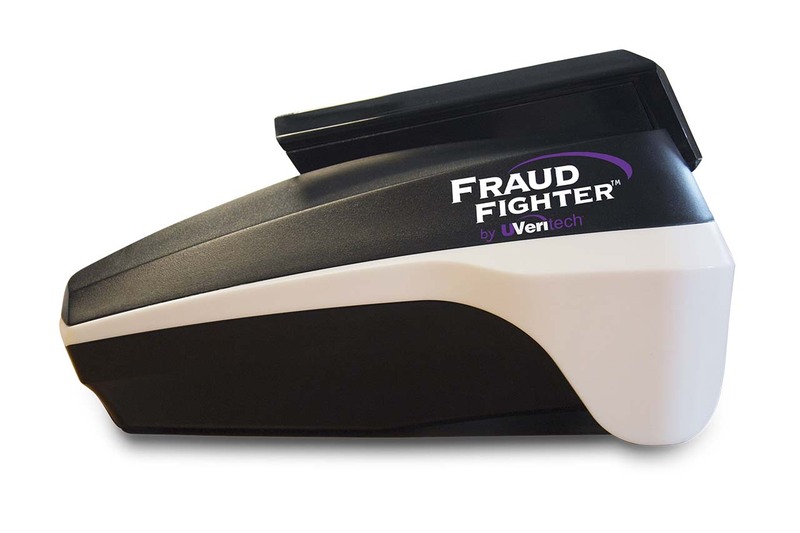 Fraud Fighter CT-550 is a compact counterfeit detector. 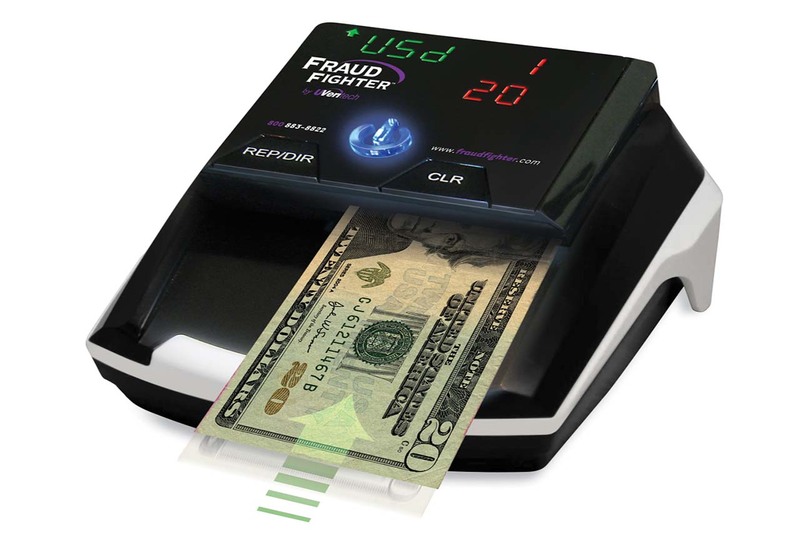 This unit can detect suspicious bill and displays grand total value and number of verified bills for each denomination.This counterfeit detector has automatic front loading options as well as return from front or back. 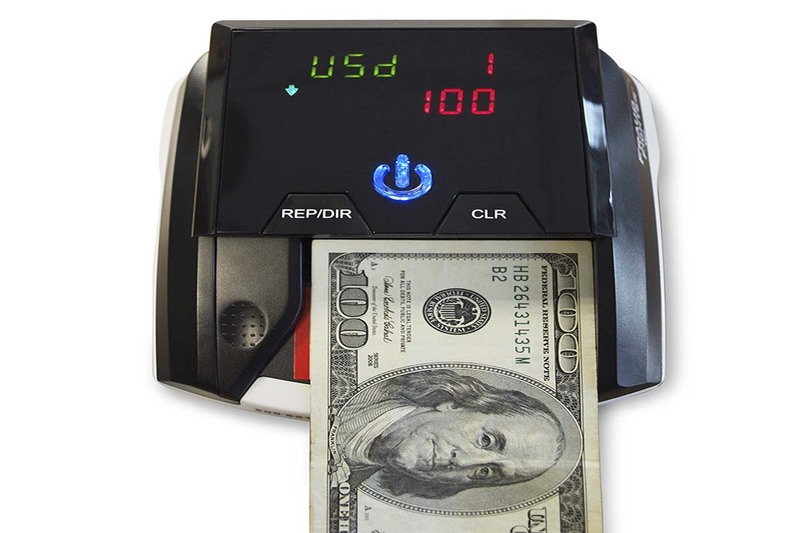 Recomended for bars, nightclubs, restaurants, movie theaters and any other business where cash transactions take place. 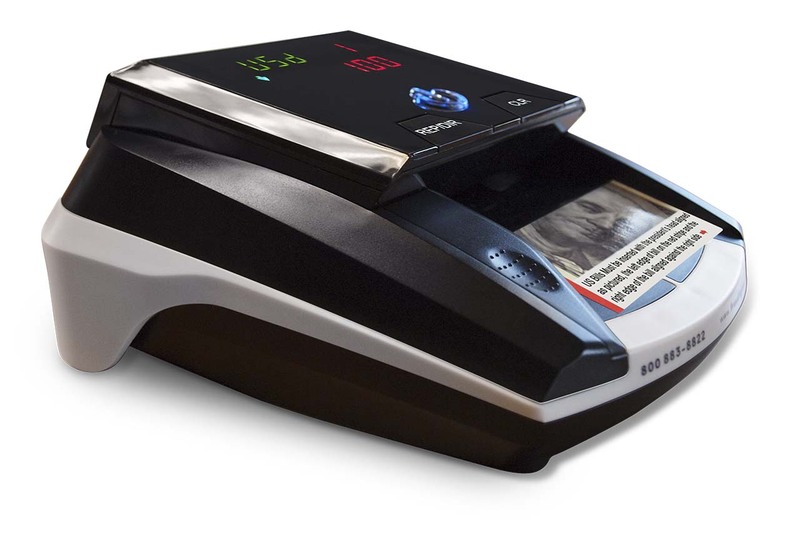 Unit Dimensions: 5 1/4" x 3" x 6"
5 1/4" x 3" x 6"